You identify the item, budget, destination, and time frames, and we will determine the most effective delivery method. From there, we?ll manage the process all the way through, from pickup to final delivery. Rely on Pak Mail to be your dedicated freight broker. We?ll negotiate rates, coordinate carriers, and ensure proper coverage and licensing. Let Pak Mail handle your domestic shipping headaches so you can run your business. With our established domestic shipping networks, we?ll negotiate and coordinate the right solution for you. Not all truck carriers are the same ? many specialize regionally or based on specific shipment sizes and features. Through Pak Mail?s 30 partner carriers and 250 shipping centers worldwide, you gain access to a comprehensive set of freight solutions that can be integrated to meet your specific needs. Air freight combines flexibility and speed. Pak Mail?s integrated freight services leverage international air freight capabilities when you need them. Whether break bulk or fully containerized, Pak Mail is your source for air freight. Less-than-truckload shipping (LTL) allows residential and commercial customers to efficiently ship smaller amounts of freight, typically less than 20,000 pounds. No weight or size limitations mean you?re covered no matter what. Does the ?Last Mile Problem? lead to unhappy customers who aren?t getting deliveries on time? 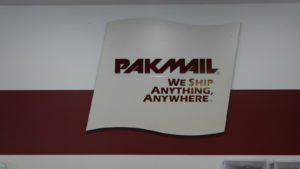 Let Pak Mail coordinate every aspect of the last mile of your shipments, including limited access and curb-side deliveries. Get back to your core strengths ? running your business. Optimize your supply chain by utilizing Pak Mail?s warehousing services, including inventory storage, kitting, packaging, and shipping.